Why not book a Callanish Sunrise tour? 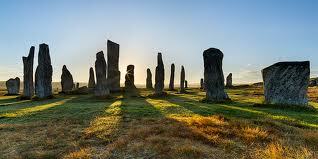 We will pick you up from your location in time for you to see the magnificent Callanish Stones at sunrise. You can choose how long you wish to stay at the stones (taking pictures or just marvelling at the experience), then we will either take you back "home" or onto any other destination. Call in advance for a quotation.